I’ve been doing some remodeling to snake proof my house. But in truth, I don’t know where the two snakes came in. 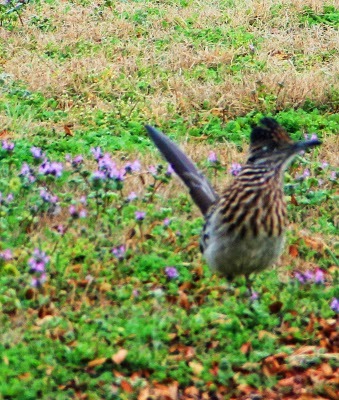 And my snake guard bird–the road runner–took off, so I couldn’t rely on him to do the job. But I finally got some things done–replaced some windows and I’m so happy with them. The winds would blow my blinds around! And no, I didn’t have my windows open for that to happen. The heat on the south side of the house would come through the windows, not noticed before, but once I moved my computer desk next to them, it was noticeable. Plus I worried about all the dust and dirt that constantly blew in from the fields surrounding me. So, I finally ordered new windows. They are GREAT! It’s already been in the 90’s and I only turned on a ceiling fan for a short while later yesterday afternoon, the house staying cool. If you touch the window on the outside, it’s hot, but on the inside, it’s cool. Yes!!! I feel like I’m in my castle now, with 6 foot wide walls that are keeping the cold and heat out. My next project was to have a door removed and replace it with a wall. The guys did an excellent job. It was the door to the outside to the laundry room, but when my parents added on to the house, another door was built that was the only one any of us used. The other had become obsolete. And I constantly had to clean up dirt and debris at the bottom of it, even though it had a storm door also. So they took care of that and now I have a wall instead of 3 doors going into the small laundry room. And no way for snakes to get in there. I also replaced the dryer vent outdoor flap. The top one had broken off, but if a snake, or two, had come in that way, they’d have had to have gone into the dryer. It might be false security, but hopefully I’ve plugged up some of the bug holes also this way. You see, I’ve had a ton of flies get into the house. And hornets. And well, just about everything. I’m not leaving doors open. So hopefully, these changes will keep the bugs and critters at bay. I’m doing my usual balancing act. A fun show outside a restaurant at Disney World. I have another conference to go to. I’m trying to finish up A SEAL Wolf for Sale, had a breakthrough on how to fix something that wasn’t working for me, but still have 9,000 words to go. Hope to have finished writing it by Friday. And then spend a another couple of weeks editing it. I have another blog tour coming up, which means I have to write tons more guest blogs and I’m not ready for that again. That’s for Jaguar Hunt coming June 4. I just received Scepter of Salvation audiobook to review, reviewed, takes at least 2 days and then sent back editing changes, narrator made the changes and then I approved it, paid her and it’s up for review. But at the same time I got the revisions back, The Winged Fae came in for review. So I’m halfway done on that one. Though I had hoped to be working strictly on A SEAL Wolf for Sale all week. So it’s a balancing act. Which has priority? In this case, all do. So that’s it! I’ll take pictures of the new windows when I can find a picture of the old window to show a comparison to. 🙂 I don’t think I had one of the laundry room door. *sigh* I should always take before and after pictures, reminder to self. Off to finish up The Winged Fae, and then it’s back to A SEAL Wolf For Sale. Have a brilliantly fun Monday. Do you ever feel things are a balancing act? I set my priorities and it all gets done. What about you? Whew, I’m so glad you got that door taken care of. I worried about you and those snakes. Can you replace the bottom weather-stripping on your other doors? They may be able to sneak in through there too. In Arkansas we used to get those little lizards all the time. The cat would just stare at it and the husband at that time would say “Bonnie take care of it.” Now you know why he’s an ex 🙂 I love the castle picture. Was that in Scotland? Lizards don’t bother me but poisonous snakes do. Oh, someday I will make it to Scotland. If I go I’ll need you to show me around. 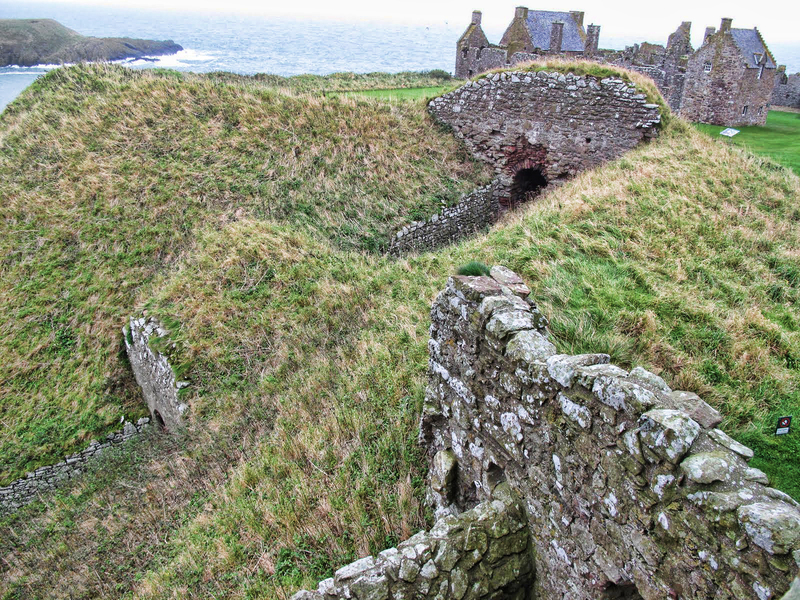 I loved Scotland, Bonnie!!! Yes, I did on the horned lizard. He’s really neat. I didn’t take one of this one. He’s still big, but smaller than the other. I’ll try to find it and post him tomorrow. I don’t mind the little lizards. They eat bugs! LOL, you are so getting into the spirit of this, Tom. Love it! I’m hoping that he/she found a mate. 🙂 I LOVE my windows. Every time I have something done, I wish I’d done it long ago and not waited so long. I think they will really make a difference in heating and cooling bills. But a lot of what I love about them is keeping the dust and dirt out too. And hopefully, the creepy, crawly bugs, or the flying ones. I had a swarm of some kind of flies and I’ve had a ton of those black hornets/wasps inside. So I’m hoping this will help to keep them out. 🙂 I still need to replace the kitchen window where I actually had ice art inside! I feel the wind blowing through that one and it’s only single paned glass. Can’t imagine why they would have put that kind of window in there. But I’m already loving these with the temperatures soaring into the 90s!